Sesame Workshop CEO Outlines Vision To Ensure Sesame Street's Survival When Jeffrey Dunn took over as CEO of Sesame Workshop in 2014, Sesame Street's future was in flux. Since then, he has created a plan to ensure the beloved Muppets are around for generations to follow. To ensure the survival of Sesame Street, one of the most cherished long-standing shows on television, Sesame Workshop CEO and President Jeffrey Dunn has worked to find new funding for the company. It is one of the most recognizable shows on television — a mainstay for nearly a half-century, with a theme song promising, "Sunny day, sweepin' the clouds away." Yet dark financial clouds have hovered over Sesame Street's parent company in recent years. 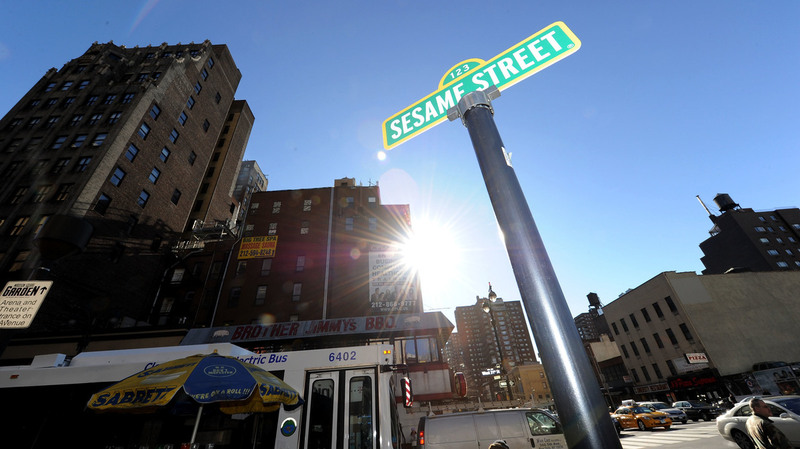 Sesame Workshop President and CEO Jeffrey Dunn took office little more than two years ago. 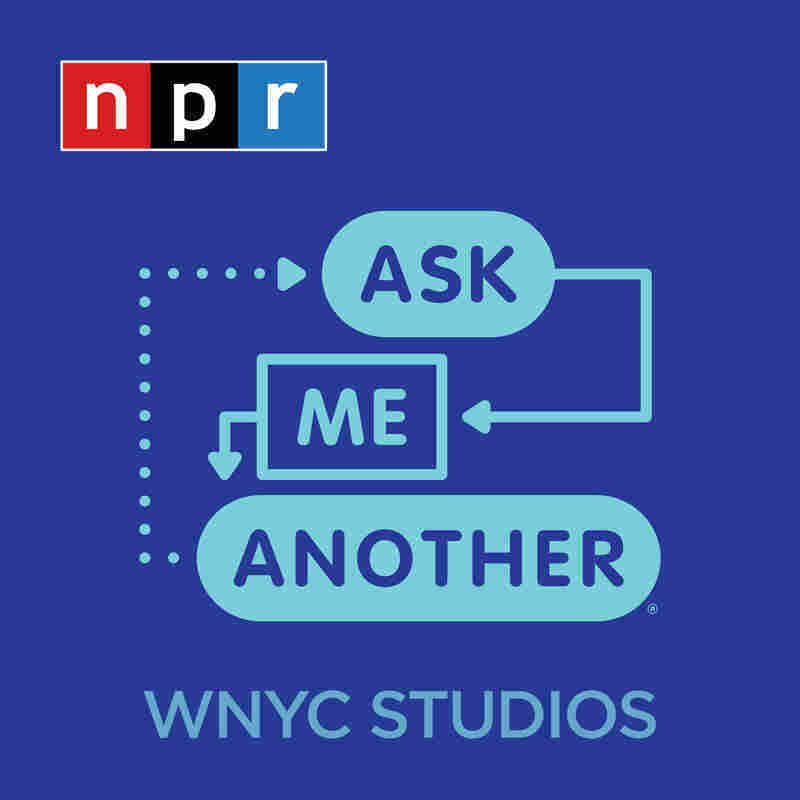 In an expansive interview with NPR, Dunn sketched out his vision to ensure the show's survival and the nonprofit company's ability to adhere to its mission: "Are we helping a kid grow smarter, stronger and kinder?" Dunn asks. "That's the way we evaluate everything that we do." Dunn, 61, is a soft-spoken man who offers a blunt prognosis of existential peril for Sesame. "If we didn't change — don't change — we don't exist 10 years from now. Maybe five years from now," Dunn tells NPR. "I mean, we were losing large amounts of money." A look at Sesame's financial statements and tax forms help to buttress his argument. They also help to explain why it laid off 10 percent of its workforce three years ago, before Dunn arrived. Between 2012 and 2015, Sesame Workshop's revenues plunged by nearly a quarter, from $121 million to $93 million, leading to deficits. In previous years, Sesame Workshop made a lot of money from parents who wanted their kids to be able to watch Elmo and friends on their own schedules, initially through the sale of videotape, then DVDs. Even as the economy has rebounded from the global financial crisis, those profits have all but evaporated, plummeting 70 percent in the digital, on-demand age, according to Dunn. Revenues from Elmo and other Muppets merchandise and licensing deals dropped by half. This terrain is familiar to Dunn. He served as a top executive at two major for-profit companies serving kids — Nickelodeon and HIT Entertainment, the British-based company that produces Thomas & Friends featuring Thomas the Tank Engine — before joining Sesame Workshop in September 2014. "In 1969, when we started, there were [effectively] three shows — you know: Captain Kangaroo, Mr. Rogers and Sesame Street," Dunn says. "Today there are well over 100 preschool shows, not to mention movies. Not to mention online characters. All kinds of people [who] are trying to sell licensed merchandise in stores." When considering Sesame Street, many people rightly think of PBS. The program runs on several hundred PBS member stations and the show's videos are also very popular on the PBS Kids digital app. The public television system provides near-universal distribution, as just about every household has a television that can receive public television. But PBS and its stations do not pay a dollar to run Sesame's programming or to stream its videos. Under a five-year deal Dunn struck to help pay for Sesame's production costs, new episodes now run first on HBO — and then appear on PBS stations months later. It is a sore point within the public television system. With purple skin and an orange nose, her multi-colored braids wrapped in a headscarf, Zari is Sesame Street's first female Afghan Muppet. 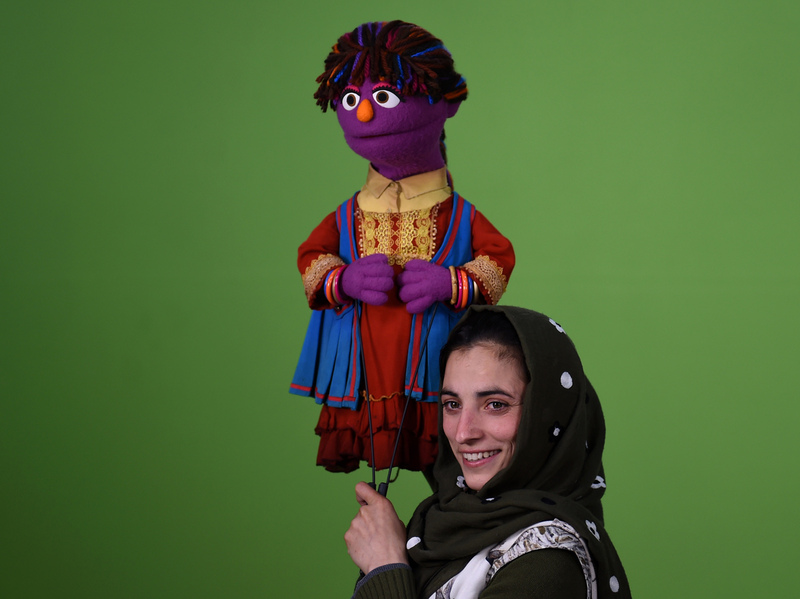 Held by Afghan puppeteer Seema Sultani, Zari helps promote education for girls. "I am grateful for the fact that it has enabled Sesame to be a stronger organization," Paula Kerger, the president and CEO of PBS, tells NPR. "I appreciate the fact that we have access to more episodes. But there is an aspect that still does not sit quite right with me." Kerger recognizes the landscape has changed for all media players, including PBS. Yet, she notes that the original intent behind Sesame Street stressed the need to reach children who did not have educational opportunities outside the home. PBS is, of course, free. As a premium channel, HBO relies on parents forking over several hundred dollars a year in subscription fees. Many families cannot afford that, Kerger says. PBS reached its own arrangement this past summer with Amazon Prime, a streaming premium subscription service, involving the back catalog of many of its shows. "We want to make sure that all kids have access to content that is going to help them succeed both in school and in life," Kerger says. "And somehow the delay, for me, felt problematic." Without the HBO deal, or something like it, Dunn says, Sesame might not have endured. He says HBO's money helps pay for production of the program and development of new ones. "I don't think TV is going away. I think 45 years from now we're still going to be on PBS helping kids through that platform," Dunn says. "But if that's the only way that we're helping kids we will have missed a major opportunity and we will have not delivered on the promise of this organization." That has not been the only controversy on Dunn's watch. 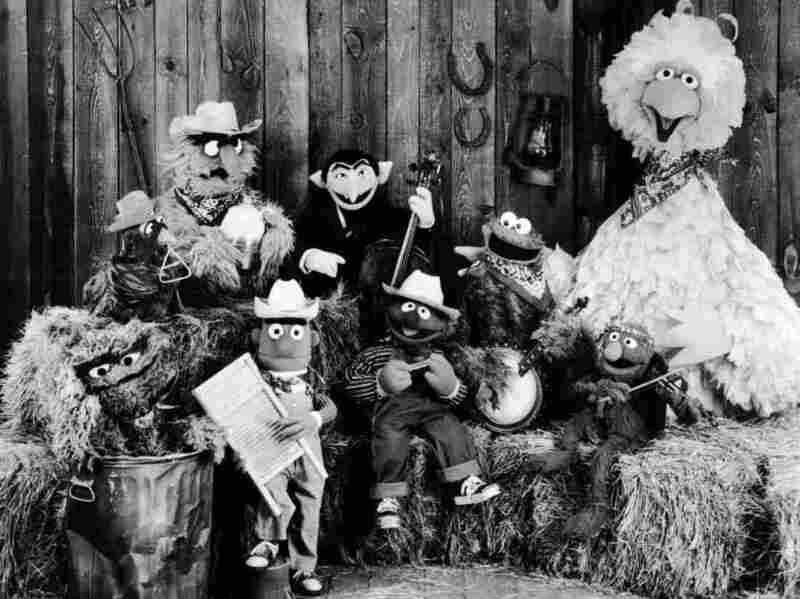 Over the summer, several longtime cast members dating back to the show's very first year said they had been fired by Sesame. Workshop officials said the scripts for the programs — cut back in 2014 to 30 minutes an episode from a full hour — had meant substantially less need for the characters. But the actors had not actually been fired, Sesame said. Dunn ultimately apologized, saying they will always remain a part of Sesame's legacy and would continue to represent the show formally. "We have a lot of people around who grew up with the show and remember it fondly from their childhood. We love that," Dunn said. "It's also true that our target audience is three feet tall. In today's world, which is very different in most every respect from the one that some of our older fans grew up in, we make the show each season for that current group of kids. And we make it with their interests, habits and needs in mind." While Dunn says the show adapts its messages to the needs of each generation's children, a lot of the beloved original characters of Sesame Street have remained on the show. Under Dunn's leadership, Sesame has been seemingly restless. In an arrangement with YouTube, the company created a new all-digital channel called Sesame Studios with original content, separate from the main television show. Univision now carries Sesame Amigos, designed especially for Spanish-speaking preschoolers in the U.S. A new partnership with IBM involving IBM's Watson is to explore how computers can tailor lessons for individual preschoolers. And Dunn used a windfall from the sale of Sesame's stake in a digital television channel for kids to create an investment fund for new ventures in educational technology. Dunn's search for new sources of revenue continues, too. HBO's John Oliver joined Big Bird at Sesame's annual fundraising gala in midtown Manhattan in June for a skit about generating money from a lemonade stand. Dunn actually intends to rely heavily on private philanthropy. He wants individual philanthropic contributions to make up 20 percent of Sesame's income. Currently it stands at less than two percent. Yet Sesame Workshop is now slightly in the black, as expenses have been held down and revenues have largely rebounded. In the meantime, Dunn has encouraged colleagues to expand their ambitions. The show already has a presence in more than 150 countries around the world. Now there's now a special Muppet in Afghanistan to promote education for girls, another focusing on hygiene in developing nations, and a new digital character with autism. As part of Sesame Workshop's mission to help kids grow smarter, stronger and kinder, the company introduced a new character, Julia, who has autism. 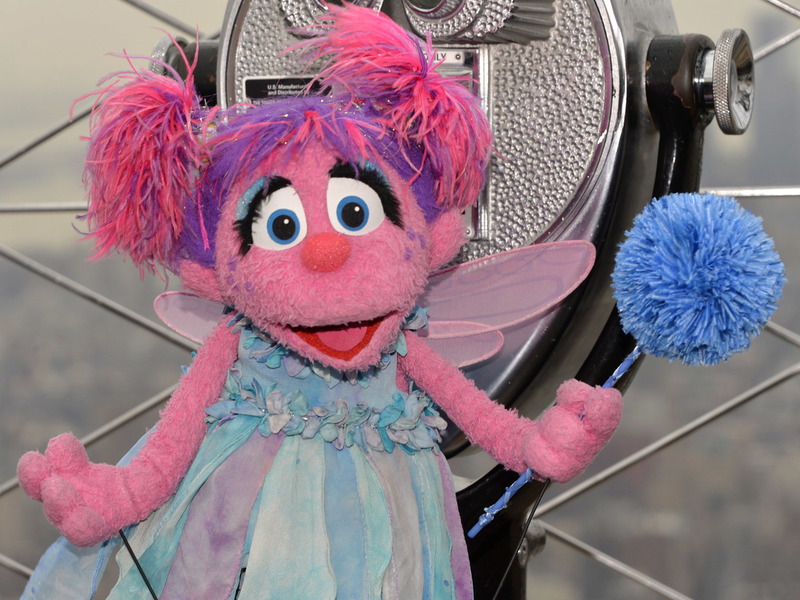 Above, a different character Abby Cadabby visits the Empire State Building to help light it blue for autism awareness. Many kids with autism endure bullying, a fact that Dunn says helped to inspire a new Sesame research project on how kids learn empathy and kindness. He said the mass shooting at a school in Newtown, Conn., the ongoing gun violence in Chicago and the coarse and hostile nature of the rhetoric in the presidential campaign also contributed to the impetus for the study — though it was launched months ago, before the even more caustic general election season got underway. On Thursday, Sesame released the findings of its research. The study surveyed children, parents and teachers; among the surprises: by a wide margin, parents thought manners were more important than empathy. "The big debate that has been had here for many years is: Are we a media company or are we an educational company?" Dunn says. "And the truth is we're both."